To track their history, we have to follow the chopstick itself back to its origins. They were invented at least 3,000 years ago, but they only became the primary utensil in China during the Han dynasty, which thrived between 2,200 and 1,800 years ago. Their wide acceptance went hand in hand with two other utensils developed in China at that time- the tou and the wok. The tou is a Chinese cooking knife. In fact, it’s the only knife used in Chinese cooking. The versatile, cleaver-like tool is used to cut food up into tiny, bite sized pieces that are then cooked in a wok. The wok is the traditional deep curved pan of China, which was actually invented, or more likely borrowed, from another culture in response to a severe fuel shortage. Since the wok can cook the bite sized pieces of food in mere minutes, it requires little in the way of fuel. Those bite sized pieces cut up by the tou are easily picked up with chopsticks, which probably led to their widespread adoption. It seems likely that rather than each piece being invented or adopted alone, they evolved in tandem. This triumvirate resulted in the growth of dining etiquette quite different than what we’re used to in the West. Most Western rules of etiquette revolve around the uses of knives at the dinner table, and preventing the appearance of violence. For instance, leaning over someone to grab food from a dish past them is considered a gross violation of table manors over here. That originally derived from intruding into another’s personal space while either party is in possession of a knife. Since diners in China didn’t have knives, it resulted in a very different form of etiquette. Among other differences, leaning over someone to grab food from another dish is perfectly acceptable, so long as you don’t elbow them in the face. There is definitely a strong sense of etiquette around chopsticks, but it’s simpler and easier to learn than formal Western table manners. Many of the rules obviously have to do with cleanliness. Among other examples is the rule against inserting used chopsticks into any of the communal dishes. As chopsticks spread throughout Asia, Chinese dining etiquette followed in its path. Chinese dining etiquette is hardly the only factor in the creation of the disposable chopstick. Shintoism in Japan also plays a role. According to Shinto belief, when an unpainted wooden chopstick is placed in one’s mouth, it becomes imbued with one’s spirit, which cannot then be washed off. By discarding it, communication is made between human and kami (spirits). This originally only applied to chopsticks used in religious ceremonies and celebrations, but contributed to the rapid spread of disposable chopsticks in Japan. The first confirmed waribashi in Japan popped up in seafood restaurants in the mid 1800s, though it is possible they were used before that by workers on construction sites. Once they’d been invented in Japan, a variety of factors then caused them to spread back out into the other chopstick-using countries. Waribashi fit right in with existing chopstick etiquette. Governments at the time also encouraged them in an effort to prevent the spread of disease. It didn’t take long until it reached the prominence they hold today, present in almost every chopstick-using culture’s restaurants and grocery stores. The frequent claim that disposable chopsticks originated in the West or were inspired by Western consumer culture is an incredibly easily corrected one- even a cursory bit of research will display that it isn’t the truth. The misapprehension holds on fiercely, however. It seems likely that it comes from a not entirely unfounded or wrong-minded tendency to immediately blame many of the environmental ills of the world on the West. Thankfully enough, it’s not a belief that is defended particularly vitriolically: its holders tend to readily accept the correct explanation. So why is it so important that this misconception be corrected? Well, first off, it’s disrespectful to chopstick-using cultures to automatically assume that they couldn’t have possibly come up with disposable chopsticks on their own. It’s not the sort of thing anyone will probably get more than slightly irritated over, but that’s hardly a glowing commendation. 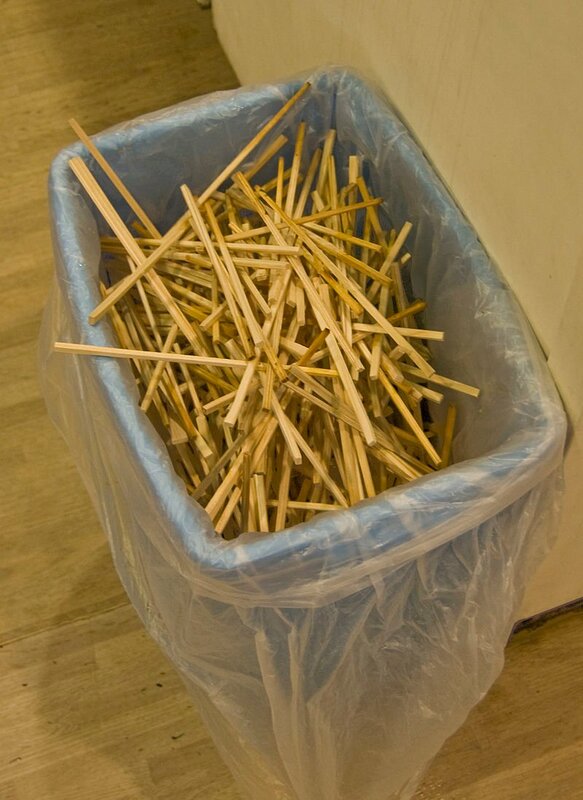 Secondly, and much more importantly, a proper understanding of where the disposable chopstick came from is vital to finding workable solutions to chopstick related deforestation. Those who don’t know better frequently suggest that restaurants merely start providing reusable chopsticks and other similar strategies, but that would very likely merely hurt their business, and doesn’t do anything for food stands or grocery stores. Instead, a larger emphasis should be placed on strategies like expanded recycling programs. 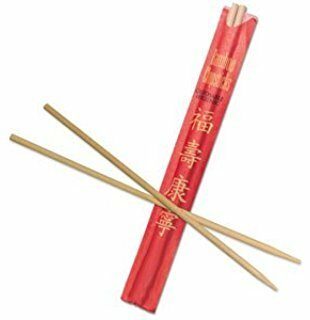 One grassroots solution that has started to pick up steam is the carrying of personal chopsticks during day to day life. It’s even fueling business, as several companies have opened up to specifically manufacture designer personal chopsticks, with accessory carrying cases. This corroborates the idea that any solutions to the problem are going to have to be forged within an understanding of the relevant cultures, rather than merely pushing Western ideas forwards to combat a problem mistakenly identified as Western in origin. This lesson doesn’t merely apply to chopsticks, either- many environmental problems around the globe cannot be addressed by a one size fits all solution, but require working within an understanding of the cultures dealing with the problems. For further reading on the history of eating utensils and dining culture, check out Bee Wilson’s Consider The Fork: A History of How We Cook and Eat. If you’re more specifically interested in chopsticks, check out Q. Edward Wang’s Chopsticks: A Cultural and Culinary History.